This morning was a memorial/inter-faith service like no other. 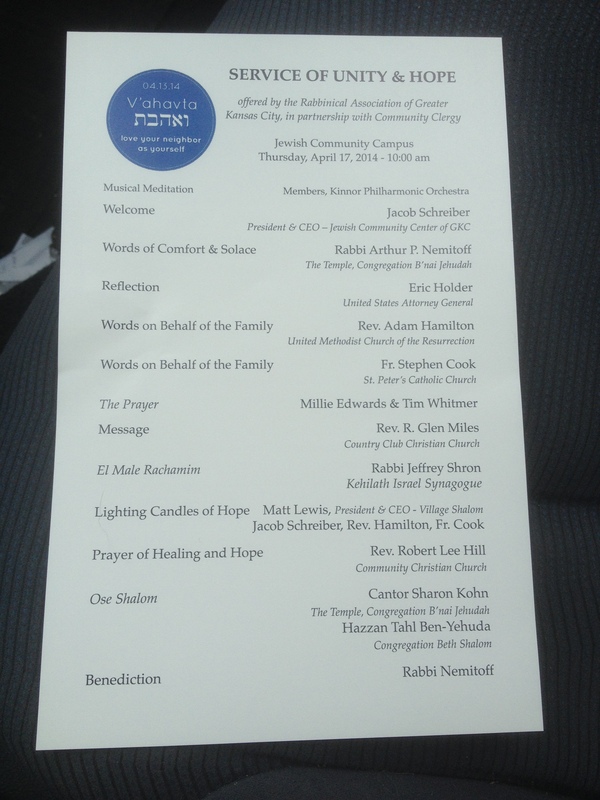 It was led by the Rabbinical Association of Greater Kansas City, in partnership with Community Clergy. It was called a “Service of Unity & Hope.” (See next blog post for more information). About 2 miles from the Jewish Community Center I noticed increased police presence, and I began to hear the sounds of helicopters (media? security?). Even though I was 30 minutes early, I got one of the last seats available, behind the media crew or should I say media frenzy? From what I could see, it seemed like a diverse crowd. It included Buddhists, Muslims, Christians, Jews, men, women, children, people of all nationalities, police officers, and political figures like Eric Holder, United States Attorney General. I know of at least one other Rainbow member who was there. 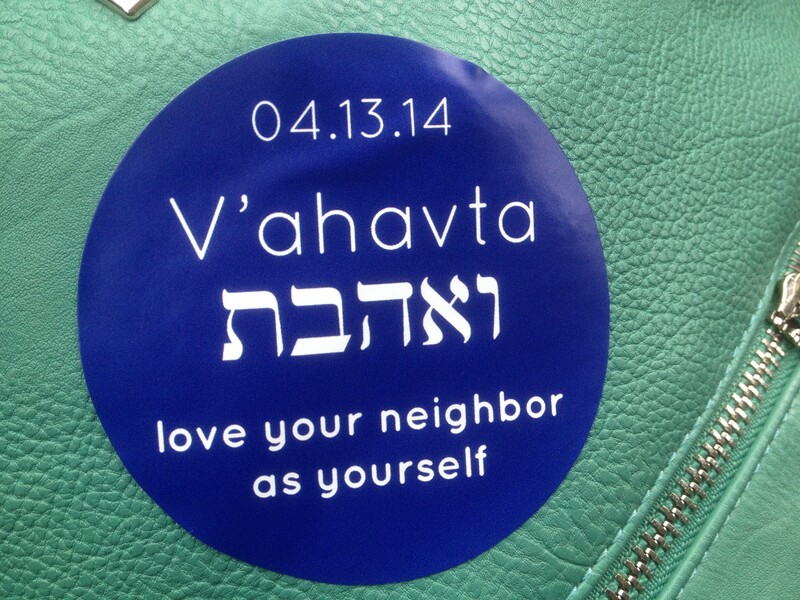 The service included prayers, scripture, music–things you might expect. Words were said on behalf of the two families. (I found it interesting and perhaps odd that the burial for Terri LaManno was taking place during this interfaith service.) As far as I could tell neither of the families of the victims were in attendance. It would have been fascinating to be part of this planning group. What were their motivations? Why was Eric Holder invited? Who and what was this interfaith service for? How did they determine who would speak? And did it accomplish unity and hope? Let’s pray it did. I’m glad I went, and I will keep this sticker on my purse as long as it wants to stay there. And I will join others in prayer at 1:00 on Sunday, April 20. See the following invitation for more information.